At Supervac, the commitment of each and every one of our employees and our compliance with applicable legislation and regulations concerning the fabrication of our products are a guarantee of quality. Since its founding, Supervac has developed a series of methods and an organizational structure that sets it apart from the competition. The commitment of each and every one of our employees and our compliance with applicable legislation and regulations concerning the fabrication of our products are a guarantee of quality. Supervac was the first company in the province of Quebec to obtain the “American Society of Mechanical Engineers” (ASME section VIII, Div.I). certification, which attests to the company’s compliance with stringent standards covering every aspect of its operations, from technical design and manufacturing of their equipment. 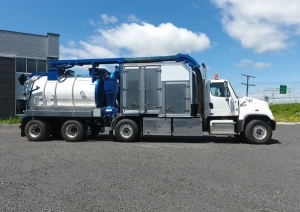 Supervac employs staff with the qualifications and experience required to perform these tasks.